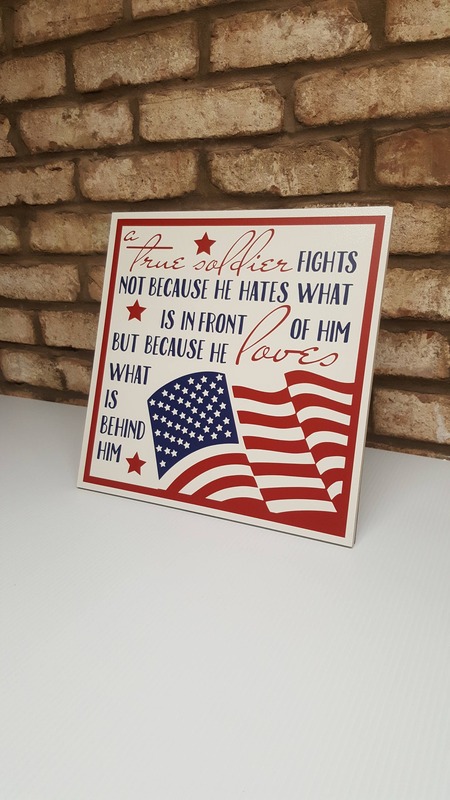 This patriotic plaque is a wonderful gift for a soldier or soldier's family. 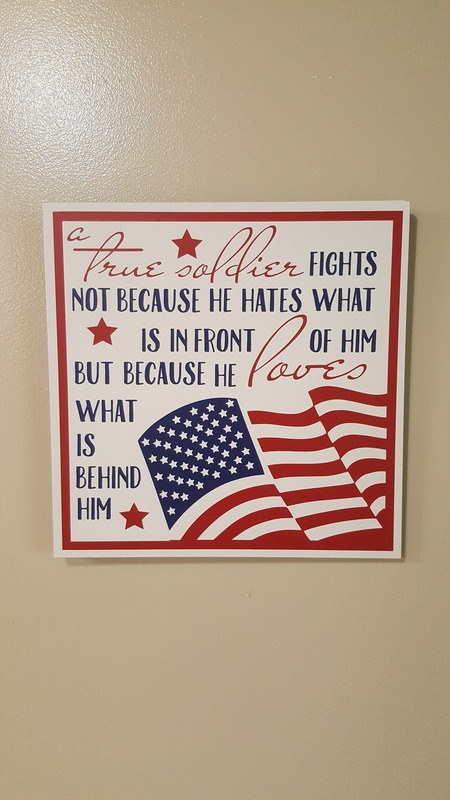 Whether active duty, reserve status, or veteran, every soldier can relate to this beautiful soldier plaque. 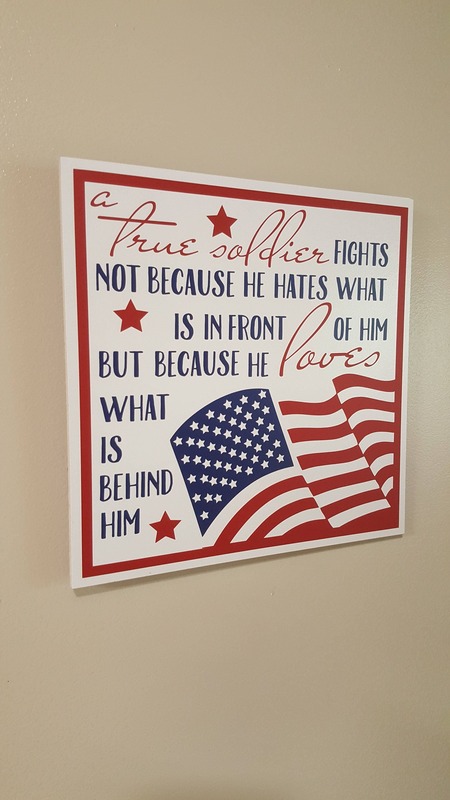 An excellent Veteran's Day gift! 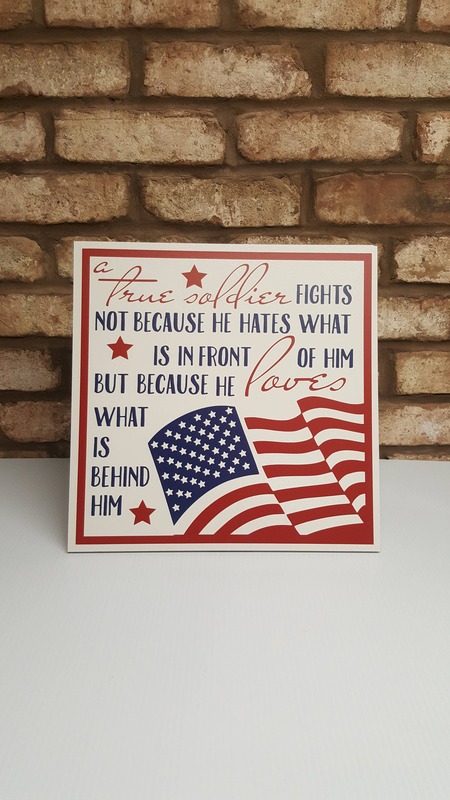 This red, white and blue patriotic plaque measures approximately 11.75" square and comes complete with an easel back. 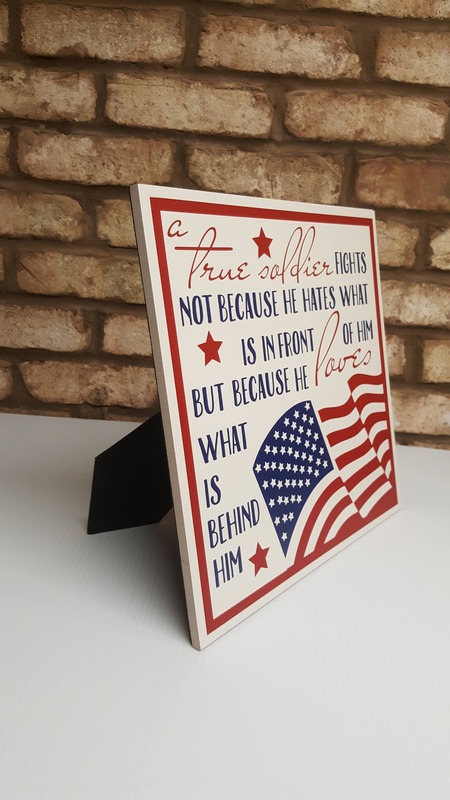 The easel back allows the plaque to sit on a table or shelf or to hang on the wall by the small saw tooth hanger on the back.